It’s March 1st and that means it is time for the annual Slice of Life Challenge. Stacey at Two Writing Teachers reminded me that this will be my 12th year participating. Twelve years! That blows my mind. I started participating as a middle school teacher and now I lead my classes through the challenge each year. It’s one of my favorite assignments each year because I get to know my students well and they get to know each other better. Tonight I will spend my time catching up on TV as I read my students’ entries. They will pop up throughout the night as many of them are determined to blog all 31 days in March. Because comments are moderated I will also be reading and approving the comments they leave on each other’s blogs. And finally, I want to leave a comment on each blog posted today, so wish me luck! 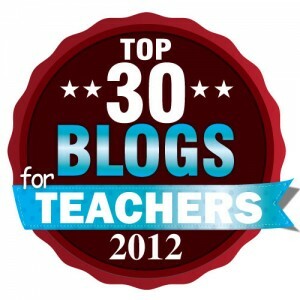 Thanks to everyone who attended my PD session today about blogging in the classroom and as a teacher. Below is my slideshow. Please feel free to reach out with any questions! Happy World Wildlife Day! The UN’s World Wildlife Day aims to “celebrate and raise awareness of the world’s wild animals and plants.” As a grad student studying biology whose campus includes the Wildlife Conservation Society’s NYC zoos and aquarium I was very excited to learn about this day! As the weird English teacher who is always spreading the word about cool science stuff I decided to celebrate World Wildlife Day by sharing book titles in the eco-lit genre, books that will help inspire conservation ideas. The theme of the day is “The future of wildlife is in your hands” and eco-lit can help ensure that the future of wildlife is in the hands of capable individuals. After school I checked my mail and was happy to see the rent check had arrived. Because of issues with the bank that just purchased the loan on my rental property (LoanCare LLC is awful), I needed to cash the check at the bank it was drawn on so that I could deposit the cash in the rental account. Then I would pay the mortgage online. I packed up the dogs and my plan was to take 15 minutes to cash the check at one bank, drive 5 minutes down the road, and then deposit the cash in the other bank account. Simple, right? Then I would head to the park to walk the dogs. The first part worked out fine, other than the fact that Santander was slow. I cashed the check and took the large bills they offered me. With the money in a bank envelope I got back in the car and headed to PNC. I figured I’d use the ATM to make the deposit as I had the dogs in the car and didn’t want to leave them alone again. Unfortunately, the ATM spit out my money. After getting frustrated I realized, “Wait, I bet there’s a limit on how much I can deposit into the ATM!” Not something I deal with very often, so I let it. No big deal- I could run in and still make it to the park in time. Cue me passing out. Figuratively, of course. In reality I was mortified and freaking out. “What? What do you mean? I literally just picked up this cash at the bank branch up the street! How is that possible? Are you sure! ?” I spit out. He held the bill up to the light and then turned around to run it through a machine. “Yes, counterfeit,” he confirmed. Cue me melting into the floor. Are you serious? I nodded. “Yes, I will do that right now. In fact, I’ll call them right now to let them know”. The teller finished my transaction while I looked up the number. It was 4:45pm and the bank would close at 5pm. As I got to the car I turned on my bluetooth and dialed the number. Actually, I pressed ‘call’ on the cell phone screen. Times really have changed! Anyway, a woman picked up the call and I began to tell her my story. She cut me off. “Oh, well we can’t do anything once you leave the bank. You need to check the bills before you leave because once you leave the property we have no way to know if you created the counterfeit bill”. Yes, she accused me of counterfeiting money. Needless to say, I flipped out. And cue me flipping out again. A woman suddenly appeared and ushered me into a side room. I handed over the bill and started explaining, again, that I would not be the one to lose money here. The manager paused and then got up and walked out. I heard whispering a few feet away before she came back, new bill in hand. As she placed the envelope in my hand she pointed out that technically she should have called the Secret Service and allowed them to deal with she was willing to do the switch. I’ve never grabbed currency that quickly. I made it home with the full rent payment and a story that seems even more unbelievable now that I am typing it out. It was a bit of a day, to say the least. And we are back! The Slice of Life Challenge is my favorite time of year because it helps me get back in the habit of writing. I’ve lost track, but I believe this is my 9th year of participating in the challenge (which is coordinated by Two Writing Teachers). Stacey of Two Writing Teachers helped me confirm my longtime commitment to the challenge. And as I mentioned in the above tweet, I also challenge my students to participate in the challenge in order to help them build a habit of writing. All 73 of my 9th graders will write at least 10 blog posts during the month of March. The real “tryhards”, as my students say, will write one blog post each day for a total of 31 posts at the end of the month. It requires commitment but will result in improved writing skills for my students. My favorite day of the year is when I get to read their reflections on the slicing process at the beginning of April. I just checked our class blog account and it looks like many of my students are determined to complete all 31 blog posts. Wish us luck as I am making the same commitment! One of my favorite parts of the Classroom Slice of Life Challenge is reading the reflections my students inevitably post on the final day. There are unprompted and it seems like one student starts by posting their thoughts and others are inspired to do the same. I know how important the Slice of Life Challenge is but my students don’t always see the value. When I first introduce the challenge in February there are always groans, moans, and threats of tears. “I can’t write a post every day! I don’t have time! I’m a terrible writer! No one wants to read what I write!” are just some of the responses thrown my way. But we talk about idea clouds (our version of heart maps) and making time for writing. I tell them that they get better at sports and music by practicing to writing is not different. And then we begin. All of my students are challenged to complete 31 blog posts but they are only required to complete 10 entries (a big change from the every-other-week posts required during the rest of the year. (I do offer extra credit to students who complete more than 25 posts, though). The posts start out slow. There are lots of posts about “slicer’s block” and about the difficulty of blogging on a regular basis. But then they settle into a rhythm. Soon the blogrolls are full of posts about the intricacies of high school life, favorite meals, memories, and the power of procrastination. And because each student is required to leave 40 comments on their peers’ blogs over the course of the month they build community. Tonight the reflections started. I get teary-eyed reading them because they get it. They really get it. Every student takes away a different lesson, but they all take away something. Some students have honed their time management skills. Some students have learned how to let go and just write, leaving their perfectionist tendencies behind. Some students have built an audience on public blogs, learning how to write for an audience other than me. And the lessons go on and on. Some of the lessons my students are reflecting on…..
Over the past 31 days, I have written 31 blogs, about 21,000 words, and at least 94,500 letters on Edublogs. I would give myself a pat on the back, because I contend that this was more than I have written in all of 8th grade. Throughout this entire month — with all its highs and lows — I was able to get an unprecedented glimpse inside the fascinating (and occasionally, surprising) thoughts of my classmates, learn about new and interesting topics, and, most importantly, improve my writing. Most importantly, SOL enabled me to explore my thoughts about the world and my experiences in a single verse. Through quiet introspection, I was able to look at details in my life with a sharper eye. This has been great, really. Thank you, Mrs. Gross. So, it has been quite a journey! If you asked me yesterday, I would have probably said that Slice of Life is the biggest waste of time ever. Yet, looking back now, I think I might miss posting daily. I do not know why, but Slice of Life has almost served as a daily break. No matter how much work we had, I knew that I had to make Slice of Life a priority. It served as a relaxing, daily break from the rigor of the past month. Yet on the other side, I learned how to appreciate my everyday life. I learned that every day, something exciting or uncommon does happen. The tough part is finding this and writing it all down. This is the beauty of blogging, especially blogging everyday. It documents your life. And everything you want to remember when you are old. It doesn’t have to be all wonderful and perfect. Life is bittersweet. And that is what makes it so unforgettable. So starting in April, it is once again dependent on our brains to remember the moments in life. Thank you, students, for your willingness to try the crazy experiments I come up with, for your devotion to your school work. Thank you for reflecting on your experiences and sharing those reflections. Thank you for opening up your life to me and your classmates, letting us get a glimpse of what your daily life is like. If you have not tried Slice of Life with your students I hope you do next year. It’s one of the best parts of my year! Slice of Life #29- Grooming Time! This is Dublin’s “Please don’t do it!” face. This weekend both Aussies were groomed and it’s always an experience! They both hate it but react in different ways. Yesterday Bailey was groomed at my friend’s shop. I had the pleasure of giving her a bath at home a few days earlier so she only needed to be clipped and trimmed. However, despite our best efforts and a lot of training Bailey wants to KILL THE BLOWDRYER. Like, for real. So it’s always an ordeal when we try to get some of her excessive hair off before it mats. But she survived and so did I, thanks to our awesome groomer. Today it was Dublin’s turn. Now Dublin loves the grooming room at the shop because he goes to daycare and likes to “work” when other dogs are getting groomed. He was thrilled to walk into the shop today and even more thrilled to go into the grooming room. Then I picked him up and put him in the tub. All bets are off then! He starts shaking and crying, shaking his wet body and spraying water all over the room and me. By the end of the bath he is wet and I am soaked. Then we have to blowdry him (which he tolerates much better than Bailey) which results in hair everywhere. Of course I am soaking wet so the hair clings to me like a magnet. I look like some crazy human lint brush by the end. But after an hour of grooming yesterday and two hours of grooming today both dogs are cleaned up and presentable. Thank goodness! Now we don’t need to go through that again until at least June!